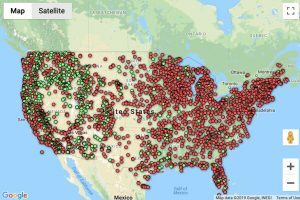 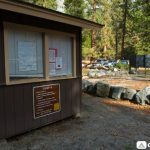 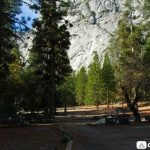 Each campsite contains a fire pit (no grill), picnic table, and four shared food lockers [33″(D)x45″(W)x18″(H)], and is near a bathroom with potable water and flushing toilets. 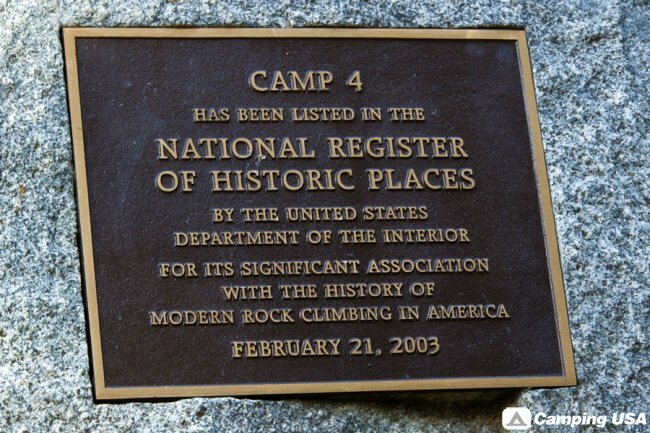 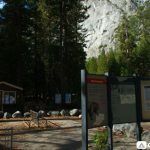 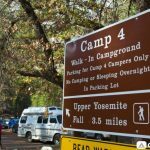 Camp 4 is listed on the National Register of Historic Places because of its nationally significant role in the development of rock climbing as a sport. 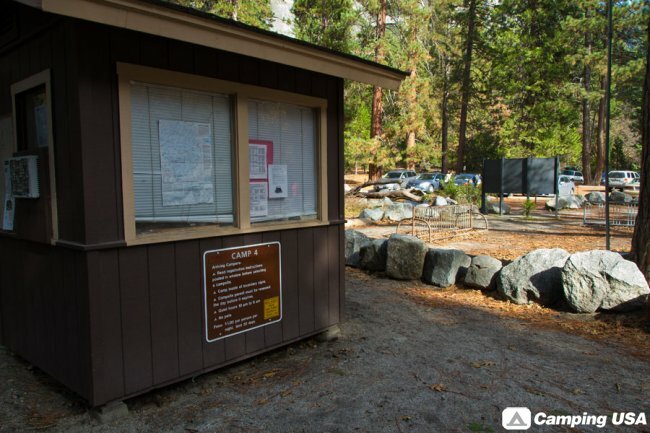 How to register at Camp 4: From spring through fall, a campground ranger staffs Camp 4 each day. 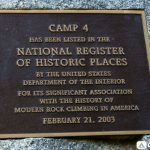 You must register with the ranger in order to stay at Camp 4. 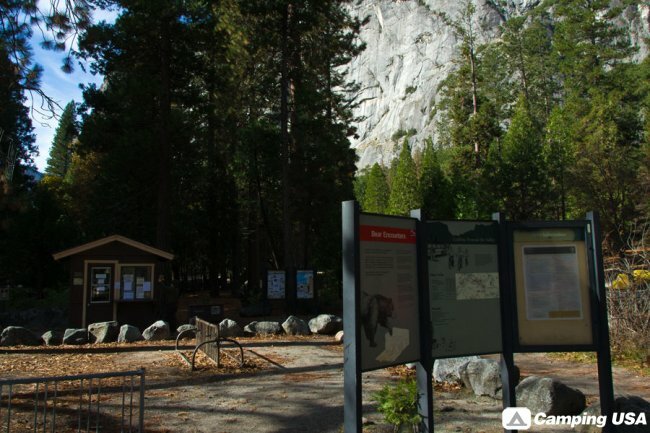 The ranger arrives at the campground kiosk around 8:30 am, although, a line has often formed well before then and the campground may fill before everyone in line is registered. 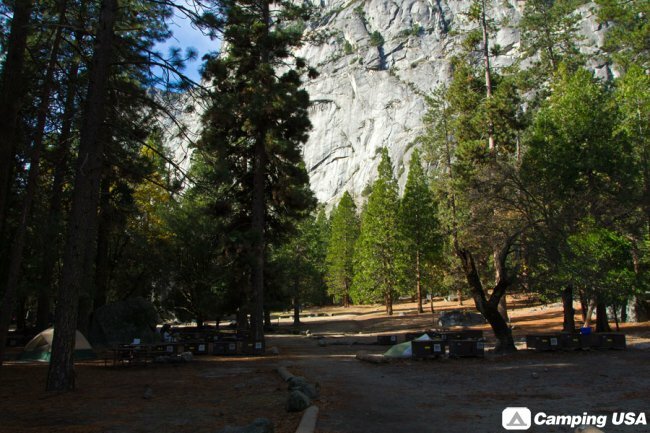 Space is available on a per-person basis and each person wishing to register must be present. 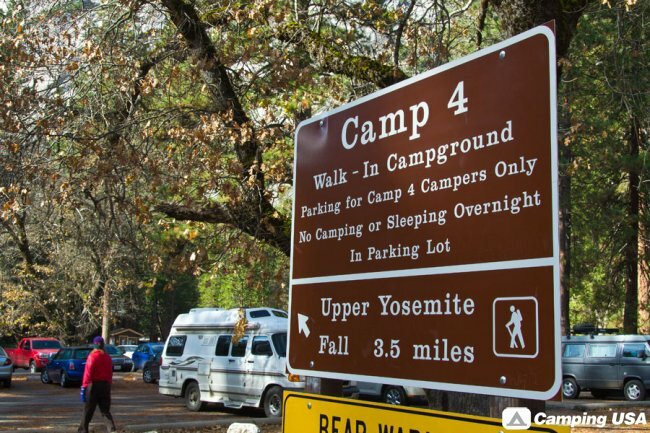 Six people will be assigned to each campsite; people in one group may be assigned to different campsites.